Outlandos D’Amour, the debut album by the reggae/powerpop/post punk trio The Police, is now available on MP3 format from Amazon this month for only $5.00, as part of their monthly 100 MP3 Albums For $5 Each promotion. 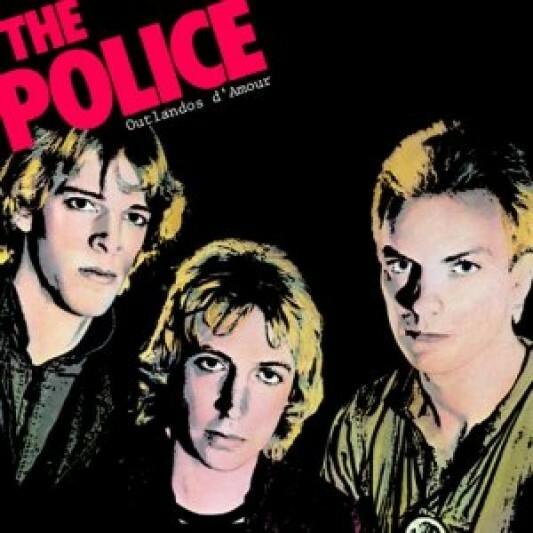 What’s great about Outlandos D’Amour, first released 35 years ago this year, is that it’s still fresh and adventurous after all these years, gleefully free of the superstar trappings that later came to be associated with the band, especially with its lead singer/bass player/main creative force Sting. The band sports a sort of rag-tag way about them here on this record, employing a nice hybrid of white man’s reggae with some punk sounds, and even a little rock and roll to boot. Drummer Stewart Copeland keeps a superb energy and creativity throughout (as he’s done during his entire career with the band and onward in his solo projects); ex-Animals guitarist Andy Summers brings a sense of authority and elder statesmanship with his guitar noodlings, and Sting supplies just the right formula as the man up front.